Special invite to San Diego Style Bloggers for $10 off tickets to Wine Walk this weekend! Savor some of Temecula Valley’s finest vintages while tasting bites from Westfield UTC’s newest restaurants. Enjoy live acoustic performances from top local Plaza Unplugged artists: Whitney Shay & Robin Henkel, Erick Macek and Ben Benavente & the Stateside Islander Crew. 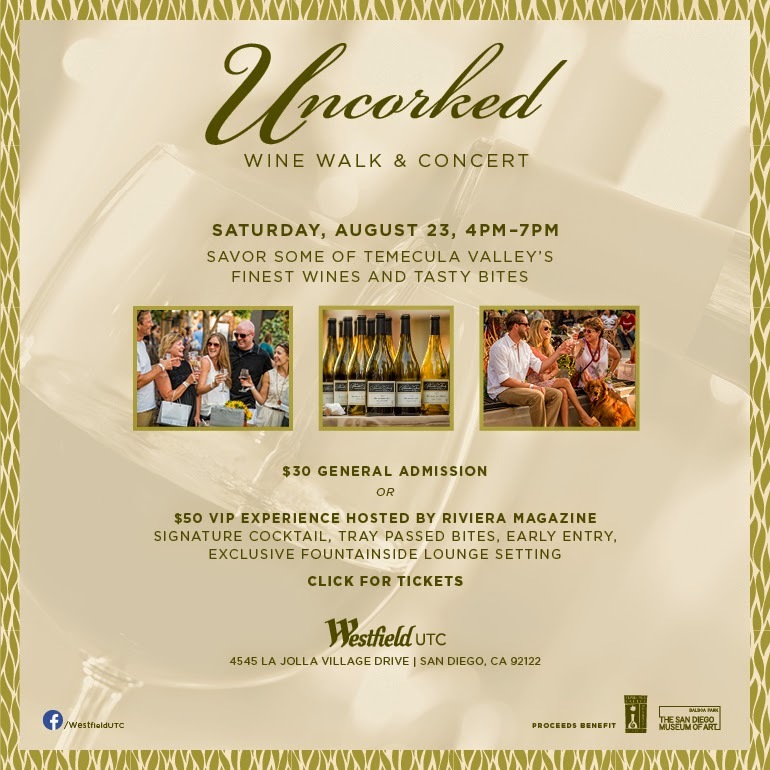 Event Timeline: 3PM: VIP Lounge hosted by Riviera Magazine Opens 4-7PM: Enjoy a self-guided wine walk to 4 wine gardens throughout Westfield UTC. This event is for ages 21 and over. No one under this age, including children, will be allowed inside the wine gardens. I really love this place. I needed assistance with something and they went above and beyond helping me. They were very nice to me and it was really amazing.